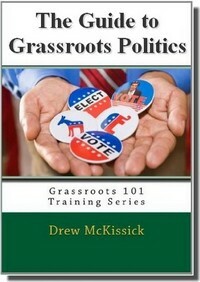 When it comes to winning an election or organizing for grassroots success, it’s not complicated. It’s not some secret formula that you need to figure out or pay a lot of money for. It’s pretty simple and straightforward. In fact, the rules haven’t changed since this country first started holding elections. The “rules” were spelled out best by someone who (at the time) was a little known congressman from Illinois who went on to get himself elected President, (shortly before hiring a general who burned my hometown to the ground, but I’ll let it go…). 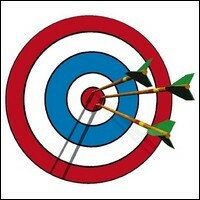 In other words, start with the outer rings of the target and work your way down towards the bulls-eye. When it comes to summarizing the basics of a get-out-the-vote strategy, you can’t do much better than that. Of course there are a number of other elements to campaigning, but they don’t really matter very much if you don’t do the basics. No matter how much modern technology may change “how” things are done, the fundamentals still apply. These rules don’t just apply to campaigns, but they also apply to successful grassroots political organization in general. You start with those who are registered to vote, identify those who agree with you, provide them with the information they need, and get them to take action when it’s necessary. Successful conservative organizations (whether campaigns or grassroots lobbying groups) adopt and apply these rules to effectively mobilize supporters at the local level. No matter what kind of political or issue-based campaign you’re working on, don’t let yourself get sidetracked. Do the basics. You’ll be glad you did.